We are very honored to host the internationally renowned yoga teacher Gregor Maehle for a 3-day intensive this fall in November. 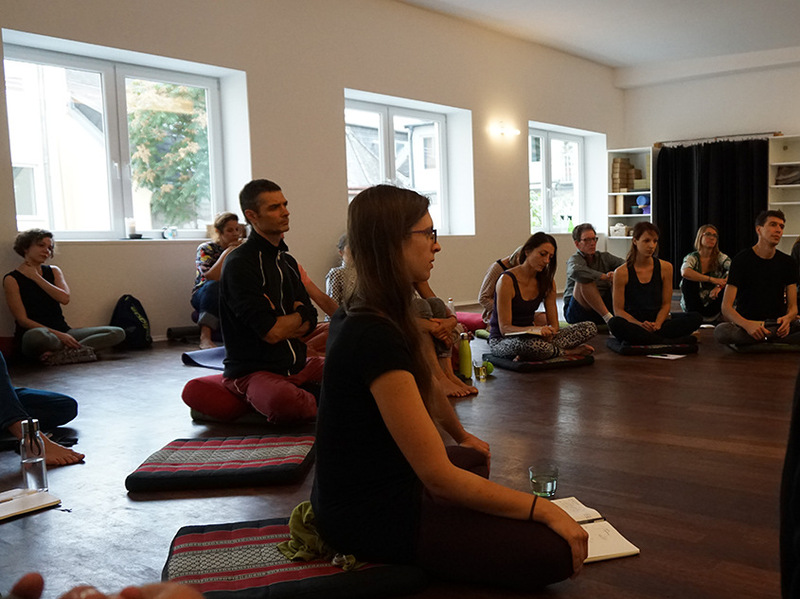 The Workshop will cover Asanas, Philosophy, Meditation and Pranayama and is suitable for Ashtanga Yoga practioners with all levels of experience. Gregors unique anatomically sophisticated interpretation of traditional vinyasa yoga, integrated into the practice of the higher limbs in the spirit of Patanjali and T. Krishnamacharya will take your yoga practice and understanding to the next level. The Mysore-style format will give students the opportunity to integrate the information learning in the Led class and also for Gregor to give individual attention to student’s needs. so that you can receive higher knowledge that is already there. Yogic meditation is a collection of scientific methods to bring about such awareness. To accelerate spiritual evolution yogic meditation employs many means amongst which the prime ones are mantra, mudra, bandha, chakra-visualization and Kundalini-raising techniques. The yogic chakras are representations of evolutionary brain circuitry with the lower three chakras representing our reptilian, mammalian and primate ancestry respectively. By understanding the chakras and skillfully meditating on them yoga offers the opportunity to activate higher brain centres and propel the evolution not only of the individual but of society as a whole. Kundalini-raising techniques consist of a combination of all other yogic means to raise the life force (prana) to a level where meditation is easy and spiritual insight becomes spontaneous. 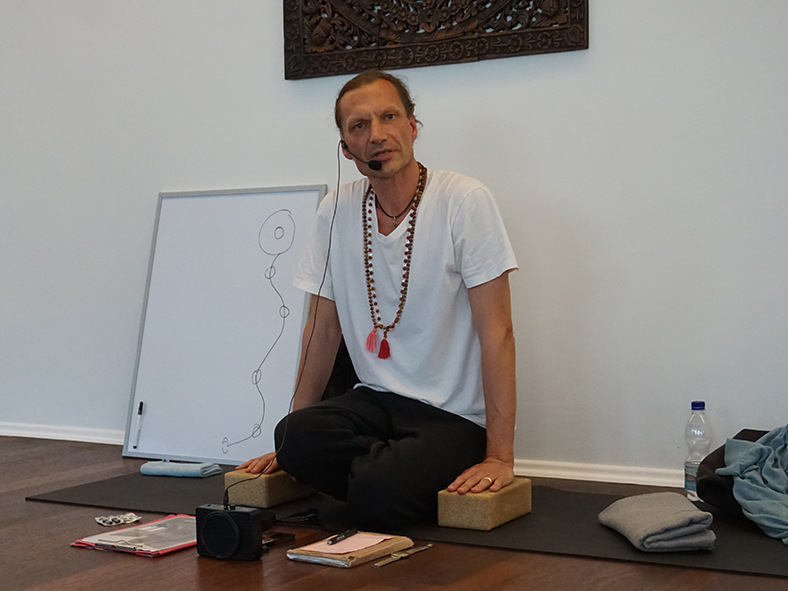 Gregor Maehle began his yogic practices almost 40 years ago. In the mid-1980s he commenced annual travels to India, where he studied with various yogic and tantric masters, traditional Indian sadhus and ascetics. He spent fourteen months in Mysore, and in 1997 was authorised to teach Ashtanga Yoga by K. Pattabhi Jois. Since then he has branched out into researching the anatomical alignment of postures and the higher limbs of yoga. He gained his anatomical knowledge through a Health Practitioner degree and has also studied history, philosophy and comparative religion at various universities. He is also the author of five well known yoga books: Ashtanga Yoga: Practice and Philosophy, Ashtanga Yoga: The Intermediate Series, Pranayama: The Breath of Yoga, Yoga Meditation: Through Mantra, Chakras and Kundalini to Spiritual Freedom and Samadhi: The Great Freedom. Further volumes are in progress. 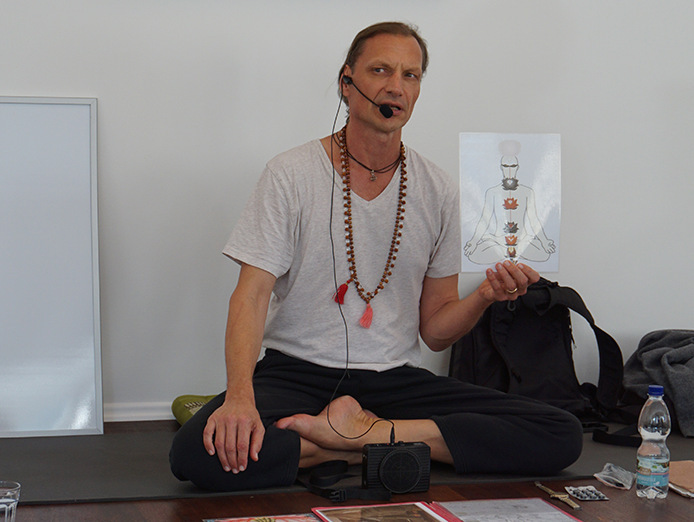 He has been invited to many countries to teach and has contributed to and been interviewed by numerous yoga magazines.